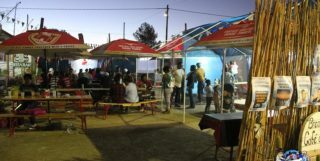 The small town of Augrabies is situated on the banks of the Orange River, about 100km from Upington. This great new adventure keeps it real while offering an exclusive adventure along the lower Orange River Valley at Augrabies. 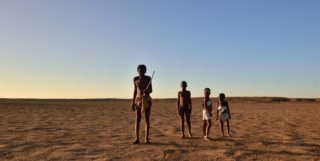 1-4 Day Canoe Safaris down the Orange River. Learn how to kayak the rapids of the Orange River in a tupperware kayak or fibreglass canoe. Step aboard the Khamkirri Ark, our own pontoon barge for a leisurely cruise on this beautiful stretch of the Orange River. 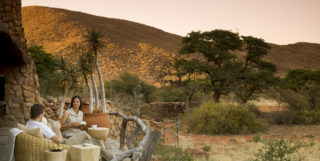 Dundi Lodge is conveniently situated 3km from the world famous Augrabies Falls (one of the five biggest waterfalls in the world) in the Northern Cape Province, South Africa. There are permanant luxury tents on the banks of the Orange River at Khamkirri Adventure destination. 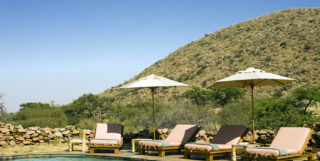 5 Star Lodge nestled in the mountains bordering the Orange River on a 16 000 hectare Game Reserve. The Trans Augrabies MTB (mountain bike) race takes place from 15 to 17 June 2019 and covers a total distance of more than 247km.